KTemoc Konsiders ........: Swiss chocolates or full-of-holes Swiss cheese? 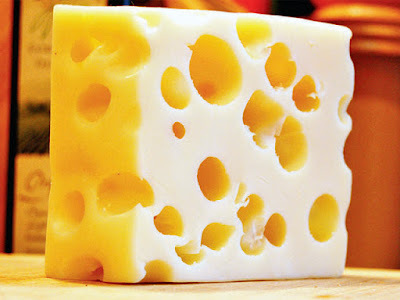 Swiss chocolates or full-of-holes Swiss cheese? He was among thousands of Thai and foreign prisoners granted a royal pardon by Thailand's new king, King Maha Vajiralongkorn Bodindradevarangkun. His lawyer Worasit Piriyawiboon who disclosed Justo's impending release from prison, said his client met the conditions for a royal pardon as he had less than one year of a prison term left. The Swiss national is expected to be released from prison between three and seven days after the announcement of the royal pardon, which was published in the Royal Gazette on Sunday. The new King granted the royal pardon to prisoners on the occasion of his ascension to the throne recently, following the death of his father, King Bhumibol Adulyadej on Oct 13. KUALA LUMPUR: Police will look into former PetroSaudi executive Xavier Andre Justo's claims that a team of police officers from Bukit Aman had forced him to make a confession and sing the praises of former prime minister Datuk Seri Najib Abdul Razak. Inspector-General of Police Tan Sri Mohamad Fuzi Harun said the department would have to check on Justo's claims. "Maybe Justo was referring to the team of investigators in December 2015 who were dispatched to Bangkok to record a statement from Justo at a Bangkok prison," he told a press conference after attending a seminar on strengthening integrity among the police force at the police college, here today. "The team comprised three police officers including Amar (Bukit Aman Commercial Crime Investigation Department director commissioner Datuk Amar Singh)". Yesterday, Amar rebutted the allegations and rubbished the Swiss's claims. "It's total nonsense and there is no such thing. It is true that I led the team but there is no truth to this 100%. This is stupid." he told theSun when contacted. The Swiss had claimed that he was told by the team to confess publicly that "Najib was the best prime minister". He also alleged that he was told to say that he "liked money and Tarek and Petrosaudi were nice". It was reported that Justo had made the claims at the financial crimes and terrorism conference 2018 that was held at a hotel here. 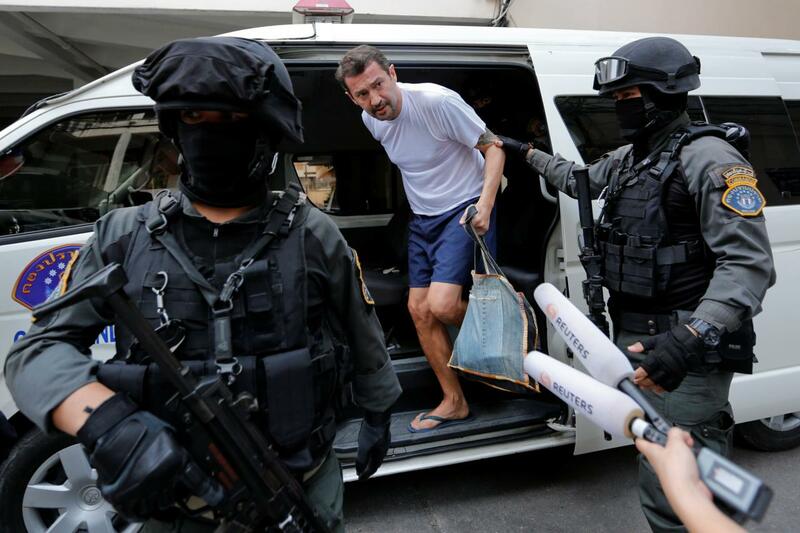 The former banker alleged that the incident occurred when he was serving an 18-month prison term in Bangkok in 2015. Firstly, we must affairs in real perspective, that Mr Justo was a convict in Thailand who was jailed for blackmail, but fortuitously for him, pardoned by the Thai King in a general amnesty on Thailand's new king's, King Maha Vajiralongkorn Bodindradevarangkun, ascendancy to the Thai throne. 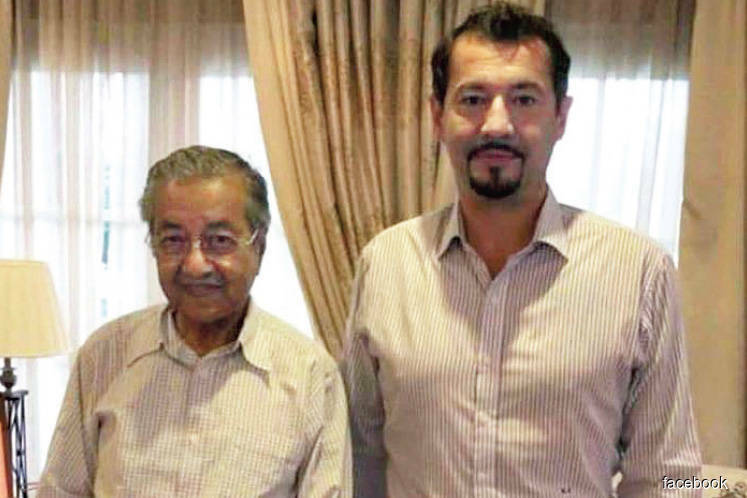 What is an ex-Thai-convict doing in Malaysia and why is such a person being photographed with the PM of Malaysia? The bizarre situation leaves many in wonder. 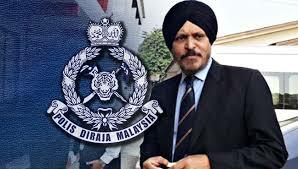 He has accused our recently-famous Khalsa warrior, Datuk Amar Singh, Bukit Aman Commercial Crime Investigation Department director commissioner, of forcing him to make a confession (while in Bangkok prison) and to sing the praises of former PM Najib. If you believe him, then our Khalsa warrior has been fluttering in his political allegiance just like Wan Azizah's magic fan. But the Khalsa warrior has repudiated the Swiss' allegations. But if you don't believe him, then that makes Mr Justo an outrageous fibber, but would protect the Khalsa warrior's reputation. But it puzzles me why the PM of Malaysia would even meet up with an ex-Thai-convict, one who was jailed for blackmail but who, by the blessings of the Thai Buddha and Thai new King was pardoned along with many thousands of Thai convicts. I wonder if Justo is pliable as he himself suggested being so when he was 'guided' by Malaysian police interrogators (while in Thailand)? Former South African President Jacob Zuma (2007 - 2017) was also an ex-convict. (In 1962), Jacob Zuma was arrested with a group of 45 recruits near Zeerust in the western Transvaal, currently part of the North West Province. Convicted of conspiring to overthrow the government, Zuma was sentenced to ten years imprisonment, which he served on Robben Island with Nelson Mandela and other notable ANC leaders also imprisoned during this time. ....“Malaysia is a generous, trusted friend and an ally (to South Africa). We encourage more Malaysian businessmen to continue investing,” he said at a joint press conference with Prime Minister Datuk Seri Najib Tun Razak yesterday. Both leaders had an hour-long bilateral meeting at the Prime Minister’s Office here. Justo was a confessed blackmailer. Jailed in Thailand. PERIOD. Jumping the gun as usual, all cleared up now. Poor Justo meant it was the Thai police who made him say those things, not Malaysian police. When contacted, Justo clarified that it was the Thai police who had forced him to confess “all these lies” and not the Malaysian police as reported. He said Malaysian police only asked him to answer certain questions. “They didn’t tell me what to reply, the answers were given to me by Paul Finnegan,” he told FMT, referring to a former UK policeman. “The Malaysian (police) only came to ask me questions. It was the Thai police that forced me to admit and confess everything, all these lies.,” he said. The author is desperately clutching at straws trying to discredit Justo. I see Singh as overly sensitive jumping to conclusions that he is being accused. Understandably, he us vulnerable to accusations that he Was a political tool of the previous regime. 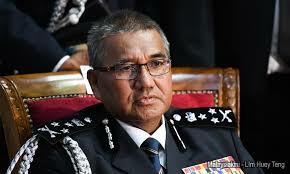 All the PDRM leadership are vulnerable to that accusation. Justo may well have done a criminal act trying to profit from his insider knowledge. That does not mean everything he says is to be rejected. Much of what he claimed has been corroborated by other separate sources. The person the author really needs to stop believing is his Idol. A Big Time liar of a Big Time criminal. For this chap nothing from LGE, LKS or TDM will ever be good for him. Instead of hiding in his room and taking pot shots at these hard working politicians why doesn’t he come out to be a politician himself and do what others cannot do? He dare not even show his face after so many years blogging. Compared to RPK who kena f#*ked left and right every day at least he dared to show his face. Phan Tee, you can say that again...nothing from LGE or LKS or TDM will be ever be good enough for Ktemoc. And in tandem with his dastardly imbibement of dedak, his pettiness now knows no bound...he will even use the most unflattering photos he could find of this trio to put them in the worst light possible. I wonder how much the blackmailer was paid by Pakatan to say all those things. It is like the Altantuya Najib picture by Tian Chua...once published it is remembered forever as evidence of Altantuya and Najib collusion, even though the picture was doctored. 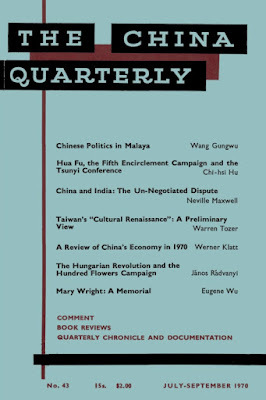 No one remembers Tian Chua's admission. That is the power of Internet...to create permanent illusions in 94% of people. If you have even a wee bit of rational brain cell left in that so-called cina head of yours, you have to admit that it was because of the way they had callously brushed him off after having made full use of him that reveal the whole mess...oh, how these criminal gang must now rue that fateful day...he's that loose thread in the whole 1MDB tapestry...with just one careless tuck to pluck it off, the awful unraveling came about and brought Najib and the whole Umno down to its knees, haha. The whole Malaysia thus have a soft spot for him of course...so eat your heart out, hehe. Jho Low, and Goldman Sachs bankers Tim Leissner and Roger Ng have received US Federal criminal indictments for their role in the 1MDB scandal. They utilised financial institutions on US soil for their criminal activities, that is why the DOJ has jurisdiction to charge them. If you read the indictment, it is about banking operations, banking corruptions, banking scamming and NOTHING TO DO WITH 1MDB as a company itself. If 1MDB as a company was scammed by Goldman Sachs, the blame lays on the CEO ie. Shahrol NOT THE BOARD OF DIRECTORS. You must distinguish between 1MDB as a company and 1MDB officers working for 1MDB. Officers working for 1MDB can be corrupted by scheming and scamming BANKERS. That does not mean Company 1MDB is scamming to steal money. Real & pathetic display of rd syndrome! In the MA of the 1MDB, it's stated CLEARLY that ALL major executive decisions MUST have the approval of the executive chairman - aka jibby. So jibby had NOTHING to do with the executed decisions of the 1MDB as u had blurry claimed? Bloody hell, read the details of how the company MA dictated the terms of the executive power of her representatives before u fart lah! Just 6 months ago, the Najib chorus was pretending there was "no criminal activity" involved in 1MDB. Just "weaknesses" in business management. The Americans have been pretty strictly adhering to the areas the US Laws have legal jurisdiction, which is the transactions flowing through banks on US soil. These prosecutions do not interfere with Malaysia sovereignty. THAT is why the indictments all involve criminal banking Transactions. The actual criminal decision making was done by the topmost people in 1MDB .... Malaysian Official 1 and his co-conspirators. That is for Malaysia to indict, as they are now in process. 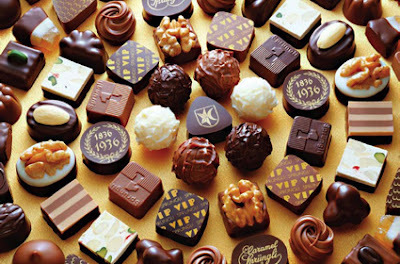 Swiss chocolate or cheese?? ?.....that is just kacang putih. WE WANT GOLD....ie GOLDman Sachs. AG Tommy Thomas can now proceed to sue GOLDman Sachs to return all the Billions in bonds and money fraudulently raised by their employees to purchase the power assets. At the expense of Malaysian taxpayers. Coupled with the court case filed recently in the London High Court to get back all the money misappropriated from the IPIC heist we now see the 1MDB money finally rolling back to Malaysia. LGE's Tin Milo Tabung Harapan may have to be extended to receive more money, also from the auction of Equanimity, Bombardier jet etc. It is shameful that the Grand Theft of 1MDB was done using Islamic and Jewish banks, ie Ambank Islamic and Goldman Sachs. "The government has allocated RM1.2 billion for Islamic affairs, an increase from the RM1.1 billion allocated in 2018." Alamak KT.. hmmm.. sabar ya matey. To de-zombiefied the increasingly petrified ummat lah! Mesti la kerja DAP who is now controlling the government ! RPuKi must be feeling vindicated now, hehe. "The government found that the country may have to pay another RM43.9 billion to settle the 1MDB debts," Lim Guan Eng added. My children, my grandchildren, your children, your grandchildren will be paying 1MDB debts. But not the blog author, that's why he's got "no feeling", no outrage over 1MDB. A curse upon the 1MDB crooks and thieves and their fellow travellers. But..but, bukan ke blog author ni orang yang ada manyak integrity, ada principles ! hihi. See how he bristles with indignation at the recent PH shenanigans and calls out at the hypocrisy....foaming at his mouth almost every day now. But strangely he's afflicted with some sort of shortsightedness unable to see that HUGE Humongous elephant that is Pirate Jibby and his 40 thieves. De Dak side definitely pulled him over, wakakaka. PETALING JAYA: Former 1Ma­­lay­sia Development Bhd (1MDB) president and CEO Datuk Shahrol Azral Ibrahim Halmi (pic), the fund’s first CEO and key perso­nality linked to the corruption scandal, is arguably the only prominent person who is still in the county. 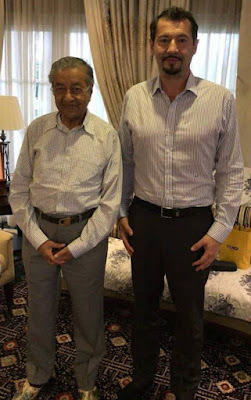 According to sources, he was seen last week at the office of Malaysia Petroleum Resources Corporation (MPRC) where he is currently president and chief executive prior to going on Hari Raya leave. “As far as MPRC is concerned, Shahrol has been performing his duties and attending events of the organisation,” a source told the The Star. Shahrol was the first CEO of 1MDB and played a key role in its formative years. Most of the fund’s major deals and borrowings took place du­­ring his watch at the sovereign fund. They included the expensive acquisitions of power assets between 2012 and 2013. According to the recently released Audi­tor-­General’s executive summary on 1MDB, Shahrol went ahead and signed an agreement with AmBank in May 2009 to issue a RM5bil bond, despite being told not to do so. The report also chided the 1MDB management led by Shahrol for not providing the board with accurate information on transactions in relation to its investments that have mostly gone sour. Shahrol, who had a stint at Per­formance Management and Delive­ry Unit (Pemandu) after 1MDB, is also on the travel blacklist over 1MDB probe. Bcoz he had the support of the executive chairman mah! "DESPITE BEING TOLD NOT TO DO SO BY THE BOARD" because he had special instructions and immunity provided from the Chairman of the 1MDB Advisory Board. DAP with tail between its hind legs? Pakatan Chinese worse than mice? Has Anwar Ibrahim missed the boat? A Chip of A Bridge Too Crooked on His Shoulder? Frogology thrives in 'New Malaysia"